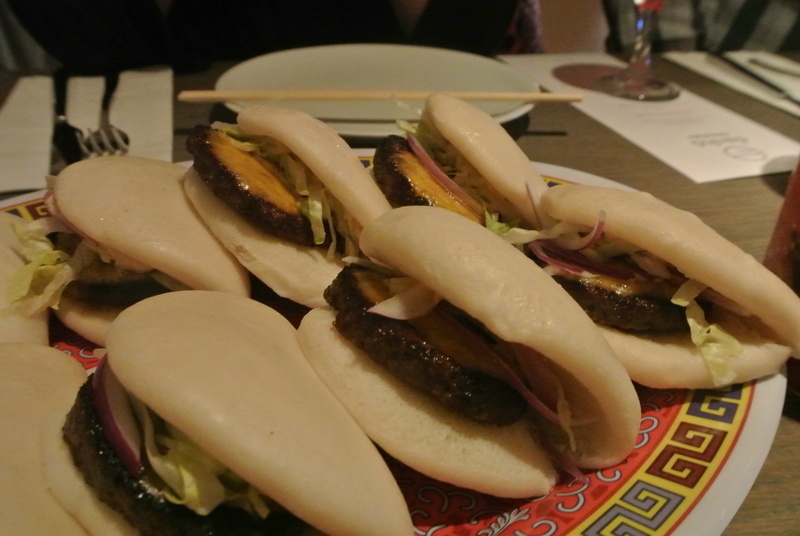 Since David Chang rolled into town and opened up his first Momofuku restaurant in Toronto, you know I’ve been wanting to experience his food. Back in December 2012, I was able to visit Momofuku Milkbar in NYC and a couple of months ago, Momofuku participated in the Festival of Chefs at the Cheese Boutique so I’m not a complete stranger to the world of Momofuku. However, when a good friend of mine, J, decided to celebrate her birthday at Momofuku’s Nikai restaurant well, I couldn’t help but get excited – another resto gets checked off my bucket list 🙂 Walking into a busy first floor noodle house, I walked up the stairs (Nikai means 2nd floor in Japanese) towards the bar. 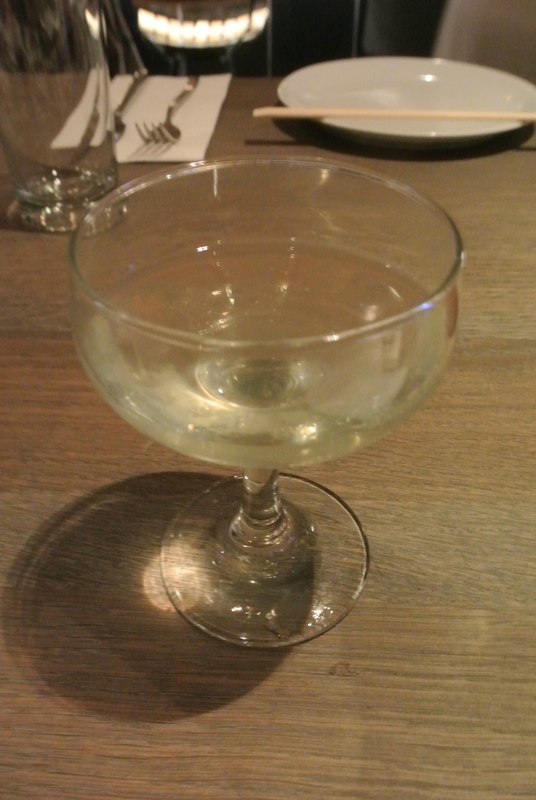 A high long table was set and while mingling, I ordered my first drink – a gin based cocktail called French Open (I’m told the cocktails are amazing here) – and they delivered! After catching up with friends, the 8 course meal started. They came out family style, one right after the other, placed across the table for all of us to share. 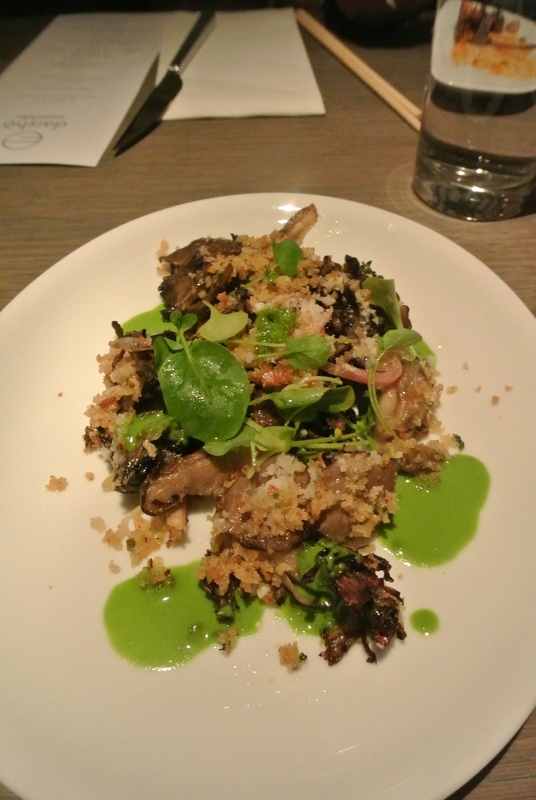 Each dish was delicious and flavourful but if you ask me what the best dish was: the corn salad with nori and scallions was my absolute favourite! Something about the roasted shredded nori stacked on top of the corn gave it such a unique flavour – it was so refreshing and the perfect dish for summer! I need to go back and try the noodles next time! Enjoy the course progression! First beverage – the French Open with gin, yuzu and thyme. 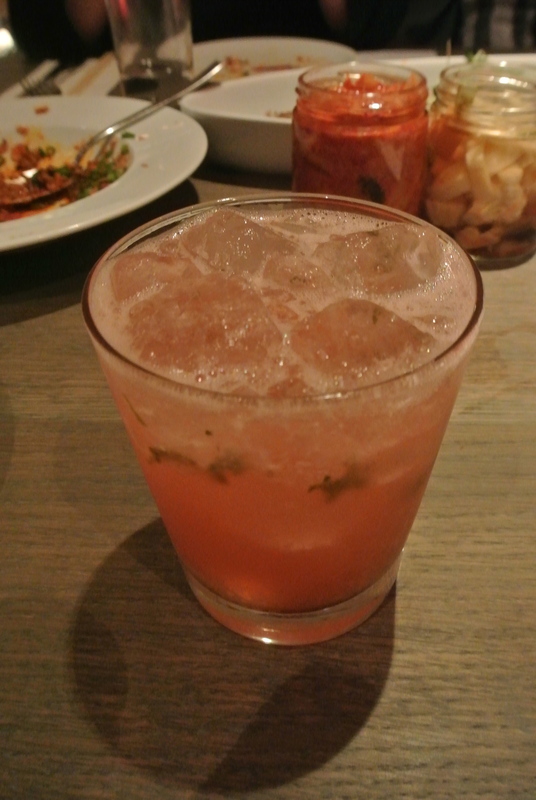 Second beverage – Momoiro sour with sake, shiso, rosemary and lime. 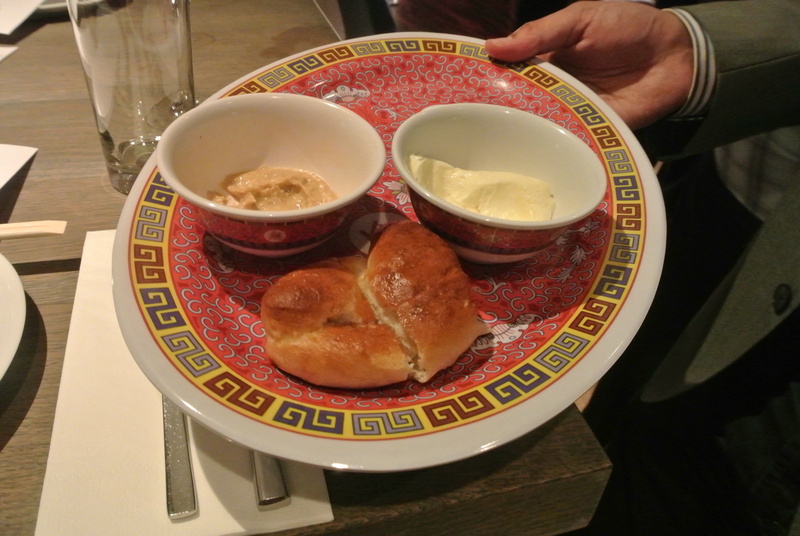 An appetizer to start the night: Pretzel Bread with mustard dipping sauces. 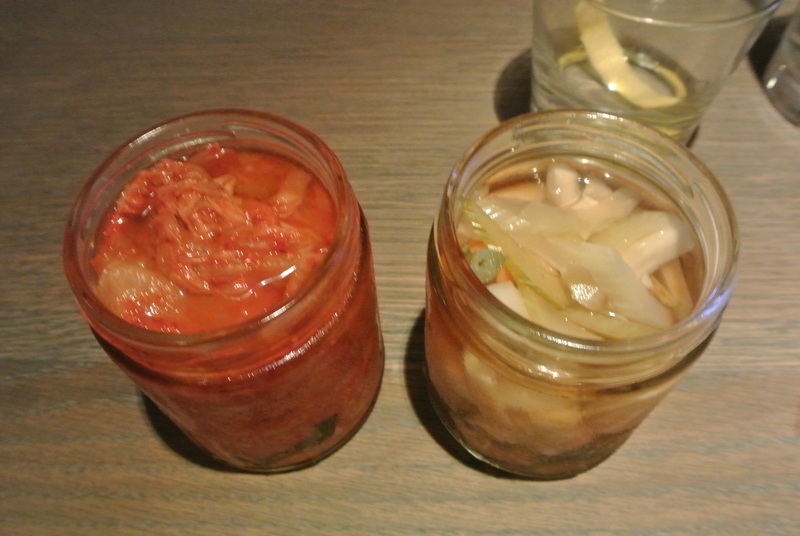 Course 1: Kimchi and seasonal pickles. Course 2: Burger bun with cheddar, onion and special sauce. 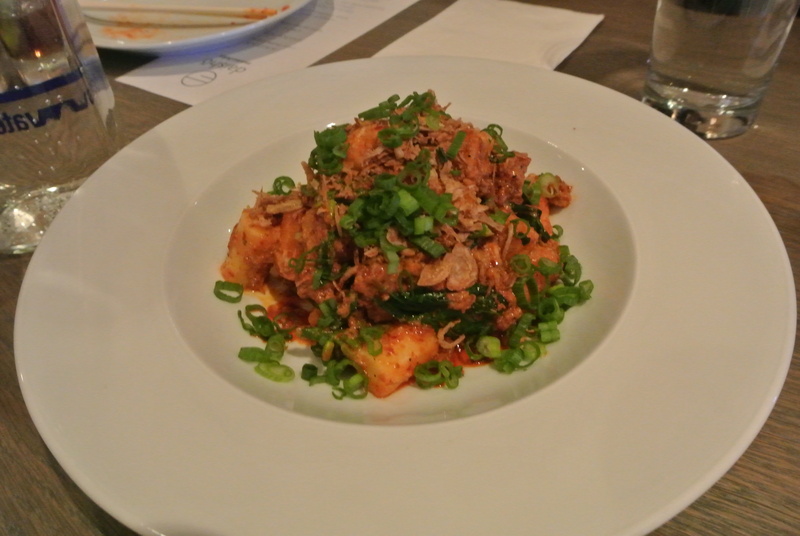 Course 3: Rice cakes with pork sausage, chinese broccoli and tofu. 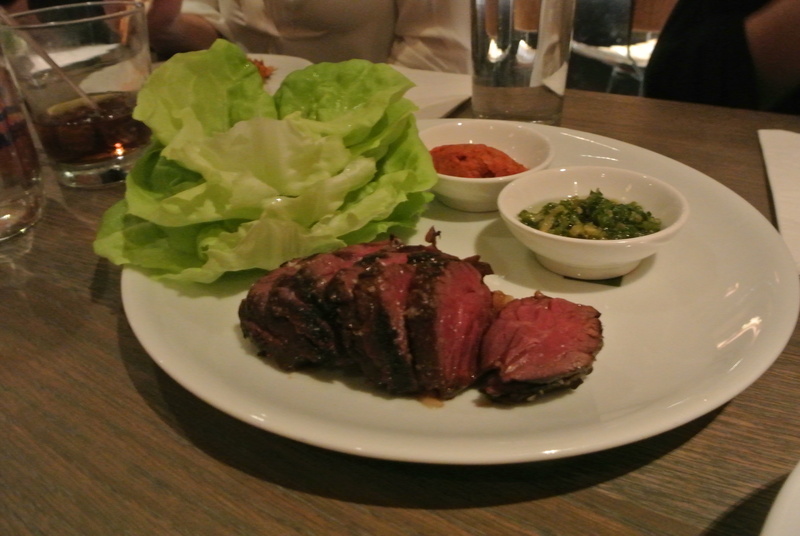 Course 5: Hanger steak with kimchi, bibb lettuce and onions. 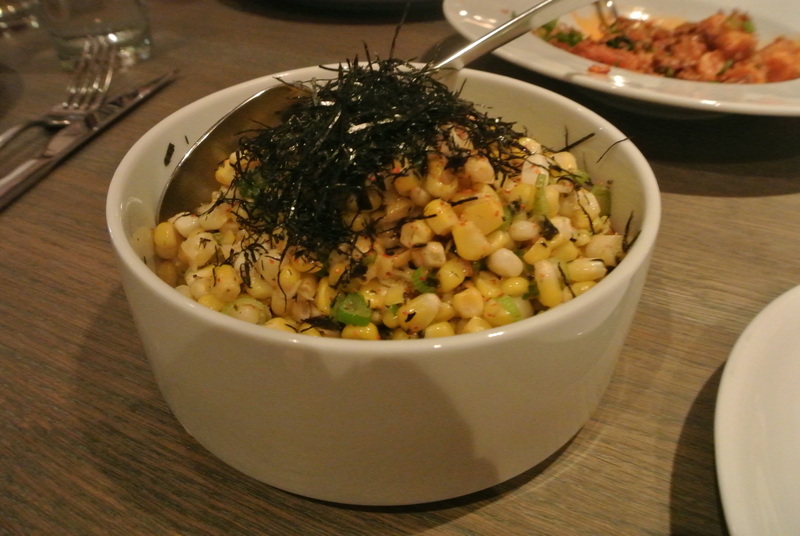 Course 6: Corn with nori and scallions. 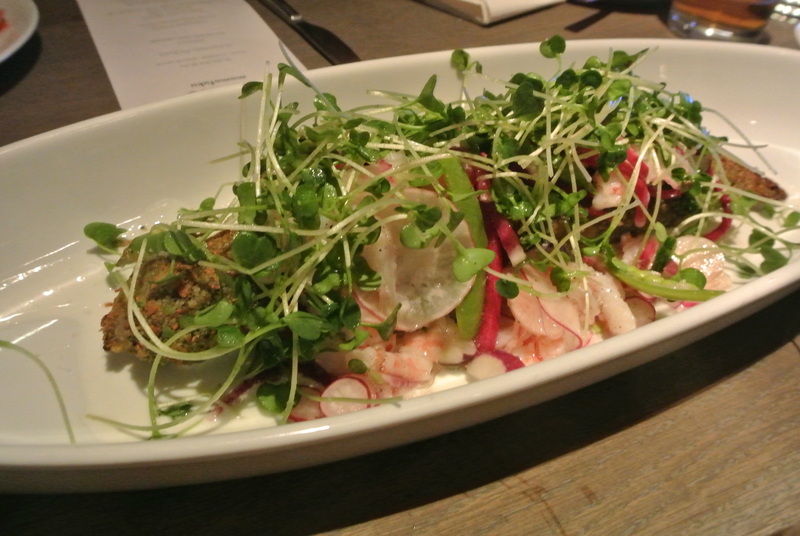 Course 7: Speckled trout with shrimp, sugar snap and smoked milk. 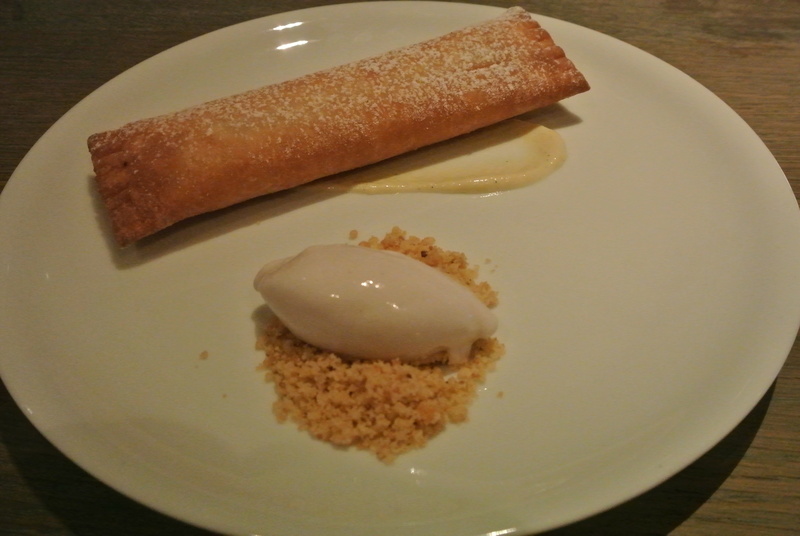 Course 8: Rhubarb pie with coconut, cardamon and cookie crumb. 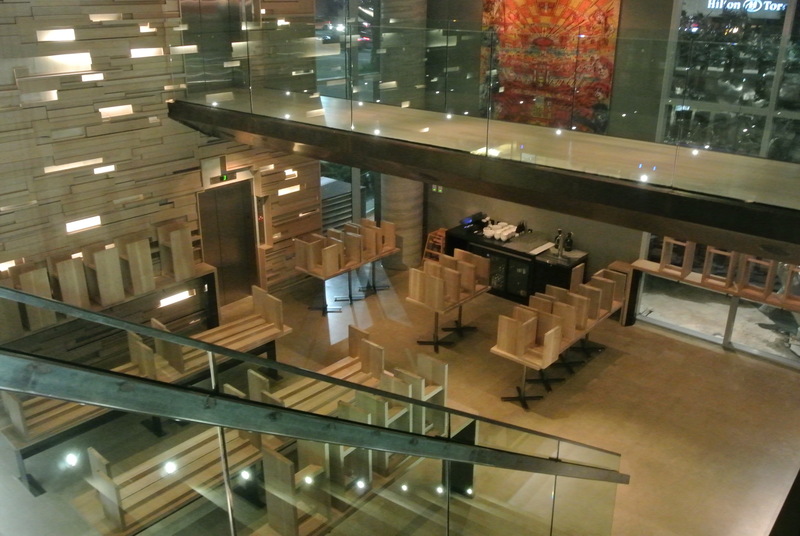 Inside Momofuku Toronto – view from Nikai down into the noodle bar.